No one wants to take a vacation and leave their furry friend behind. When you’re a pet lover, being away from your best buddy doesn’t sound like a “vacation” at all. However, pets have needs and sometimes including them can make travel plans complicated. This doesn’t mean that you have to leave your pets behind when you go on vacation. However, there are some things that you should keep in mind to ensure that the experience is safe and fun for both you and your animals. Here’s what you need to know about vacationing with pets. If you’re planning on taking a trip to a five-star resort, bringing your pet along might be impossible or extremely complicated. One thing to understand is that flying with an animal isn’t advised unless the situation makes it extremely necessary. If you’re moving to a foreign country, then you might have to fly your pets. However, if you’re simply going on a vacation, your pet would likely prefer to be lodged at a quality kennel or with a loved one than to deal with the stress of flying. Furthermore, more and more airlines are making travel for pets risky if not outright dangerous. Sometimes it might be a better choice to leave your pet behind. 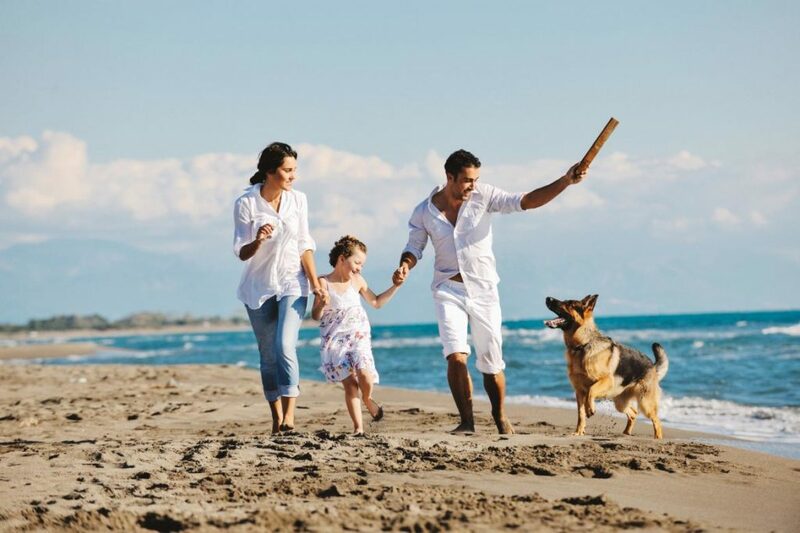 While there are some vacations that aren’t suitable for pets, there are plenty of vacations where your pet is not only suited for the trip, but is sure to love it. For example, dogs who live in the city absolutely adore camping trips where they can run and frolic in nature. However, this doesn’t mean that you shouldn’t check with your vet before departing. If you’re going on a camping trip, you should ask your vet about tick prevention for dogs. Chances are that your pet will be fine and enjoy his or her vacation. However, you should always plan for emergencies when traveling with a furry friend. Research veterinarians in the area and find someone who you could call if something went wrong. If your pet takes any medications, be sure to pack more than you think you’ll need to be safe. The health of your pet matters, so take every precaution to ensure that they’re well and that they would have a resource if something were to go wrong. Your pet can be an excellent travel companion, but it’s important that you take certain precautions and recognize which trips might not be appropriate.